Custom software , web design and computer maintenance . Call CARGINsoft.com for all PC maintenance and networking needs . Many shoppers are wasting their money on warranties for cameras, washing machines and other expensive goods, a new report has warned. As these warranties can cost almost half the price of the product being bought, the report – by ECC-Net, a group of EU consumer watchdogs – has urged people to be vigilant before buying them. 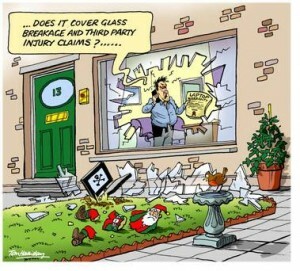 As you are already covered for faults under EU law when you buy something, warranties can be of little, if any, value. Under Irish law for example, you are entitled to redress for faulty or defective products for up to six years – and you don’t have to pay for that right. This six-year redress period is longer than what many of the so-called ‘extended warranties’ offer redress for. When you take that six years into account, “one needs to question whether paying an amount [for a warranty] usually close to the value of the item covered is value for money”, said the report. Furthermore, a warranty is no guarantee that you will get redress. The ECC-Net report highlighted a number of cases where consumers ran into problems here. The report can be viewed here . This entry was posted on Thursday, May 28th, 2015 at 7:01 pm	and is filed under Content. You can follow any responses to this entry through the RSS 2.0 feed. You can skip to the end and leave a response. Pinging is currently not allowed. Designed by CARGINsoft . Powered by WordPress.